Williams Personal Defense Flashlight from CRKT®. The CRKT® flashlight series, designed by James Williams, provide powerful LED output light ideal for outdoor use, personal safety, self-defense, everyday-carry, and tactical applications. 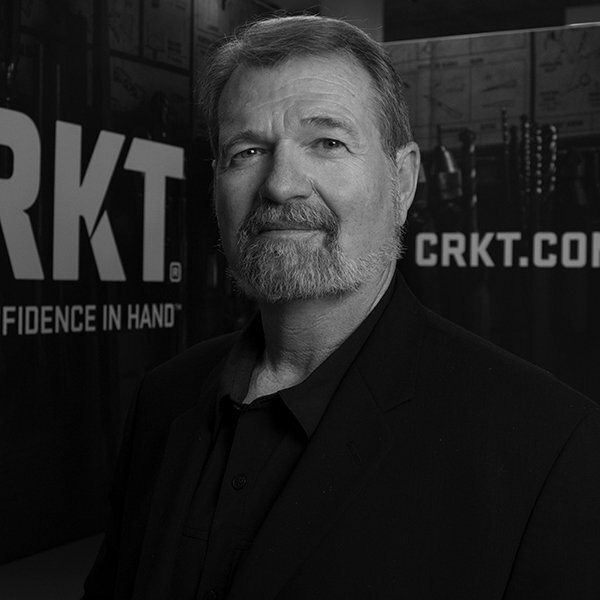 The CRKT® flashlight series, designed by James Williams, provides powerful LED output light ideal for outdoor use, personal safety, self-defense, everyday-carry, and tactical applications. The hard-coat, black, anodized aluminum bodies are tough and strong for lasting durability. The industrial grade rubberized, tail cap button is pushed to control the multiple light modes. High Mode Functions (Bezel Out) 100 lumens - Approx. 50 minutes of run time. 1. Momentarily On–Slightly depress the on-off button with your thumb or index finger to temporarily activate the light. Release and the light turns off. 2. Fully On–Depress the on-off button until it clicks to fully activate the light. Click to turn off. 3. Strobe On–Quickly depress the on-off button twice to activate the strobe. Fully click the final press to lock into a constant blinding strobe mode. Click to turn off. 1st click displays a low 3 lms light with 65 hrs. of run time. 2nd click turns the light off. 3rd click displays a mid 10 lms light with 9 hrs of run time. 4th click turns the light off. 5th click displays a max 50 lms light with 1.5 hrs. run time. 6th click turns the light off. 7th click displays (S.O.S.) with 50 lms and 5 hrs. run time. 8th click turns the light off. After the flashlight has been off for 2 seconds, it resets to the original settings. *Run times may vary depending on batteries and conditions.